Dr. Dominique Vanier, ND is a registered Naturopathic Doctor and a certified sports nutritionist of the International Society of Sports Nutrition (ISSN). Dr. Dominique is a general practitioner with experience and clinical focus on digestive conditions, thyroid disorders, hormonal conditions, and weight/fat loss. 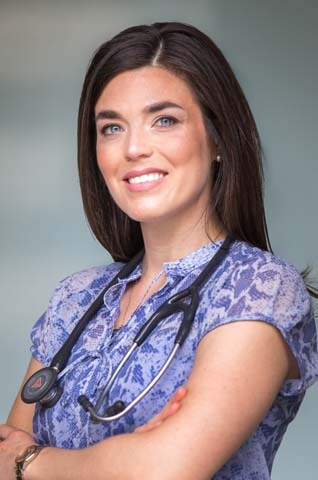 Dr. Dominique graduated from the Canadian College of Naturopathic Medicine (CCNM) in Toronto, where she obtained a four-year post-graduate Doctor of Naturopathy (N.D.), during which she completed a 12-month clinical internship at the Robert Schad Naturopathic Clinic. She is in good standing with the College of Naturopaths of Ontario and a member of both the Ontario Association of Naturopathic Doctors and Canadian Association of Naturopathic Doctors. Dr. Dominique has an Honours Bachelor of Science in Chemistry (Environmental) from Queen’s University and a Master of Environmental Science (M.Env.Sc.) from the University of Toronto. She has been a consultant for various organizations in the health industry, including A. Vogel/ Bioforce Canada and the Ontario Association of Naturopathic Doctors (OAND), and employs a strong knowledge of policy and government having worked as a Senior Policy Advisor for the Ontario provincial government in her former career. Dr. Dominique is a currently serving a three-year term as a Director on the OAND Board of Directors, and brings a perspective and understanding of policy and government to naturopathic medicine in Ontario.